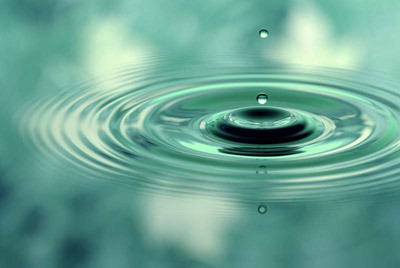 The Bowen Therapy stimulates energy messengers throughout the body, (like ripples of water). When the Bowen move is made with fingers and thumbs, it challenges the muscle at precise points connected to the nervous system and sends impulses to the brain. The brain's response results in change. Often, people will comment that they can feel sensations, warmth or tingling at the site of the move or at another part of the body as movement ripples through soft tissue, muscles, nerves, blood, lymph etc. This is the beginning of the dynamic relay of information to commence the healing process sometimes over days or weeks. Bowen does not force the body to change. It allows the body to make any necessary adjustments to facilitate positive change and healing at a pace suitable for the individual, whilst treating the whole person not just the presenting condition. This can sometimes occur very quickly. Each Bowen session builds layer by layer; it is not lost week by week. The memory of Bowen is recognised through the body even if treatment is months apart. Each session is therefore slightly different in response, as the healing process moves forward. It is said that a baby whose mother received Bowen during pregnancy, is often more responsive having stored the positive memory from inside the womb.